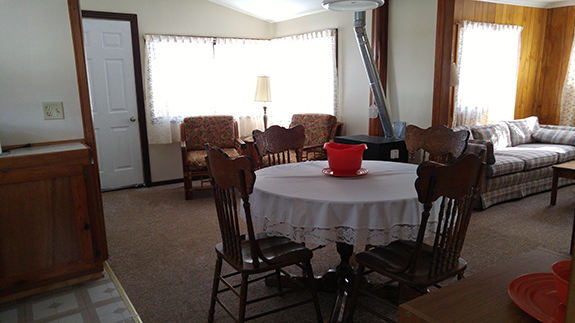 Cabin Four features a full kitchenette, two bedrooms, a living room, and a full bathroom. Cabin Four is a great place to relax and read, spend time playing games, or just enjoy spending time together. For the privacy and comfort of our guests, each cottage has it’s own bathroom with a full shower. We supply a barbecue and picnic table for each cabin where you can sit and enjoy the natural beauty around you as you share a meal together.